A swimming advisory has been posted for Gull Lake Park Beach. 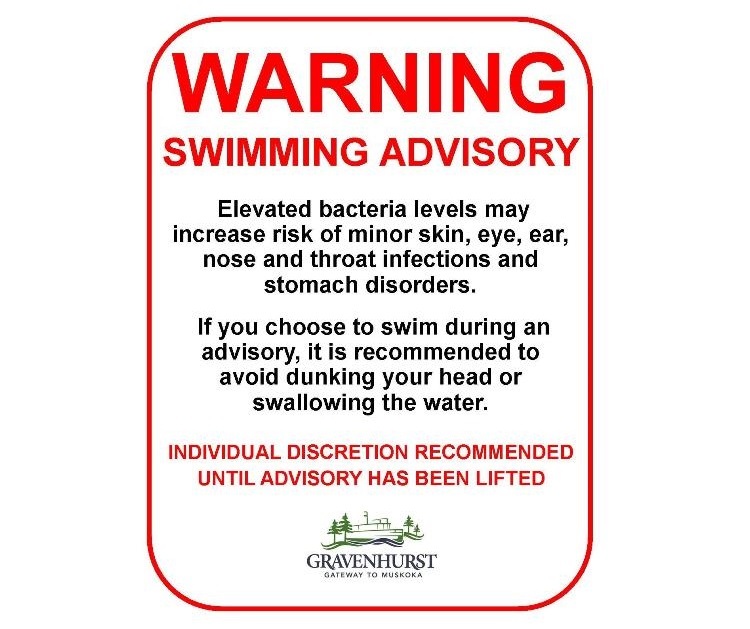 The Town of Gravenhurst says this comes after water tests showed elevated levels of E. coli. The Simcoe Muskoka District Health Unit sampled the water yesterday. The results showed 532 E.coli per 100 mL, far exceeding the provincial standard of 200 E. coli per 100mL. The town says swimming in Gull Lake Park Beach with the elevated levels of bacteria may increase your risk of getting minor skin, eye, ear, nose or throat infections or stomach illness. If you do choose to swim there it’s recommended you avoid dunking your head or swallowing the water. 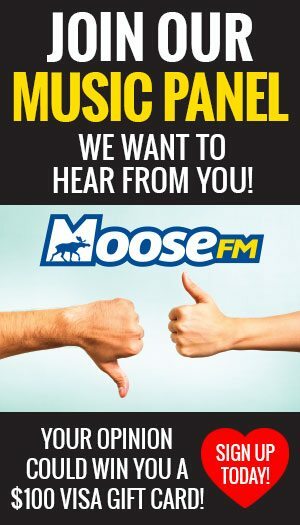 The town says it will continue to communicate with the public as new updates become available. 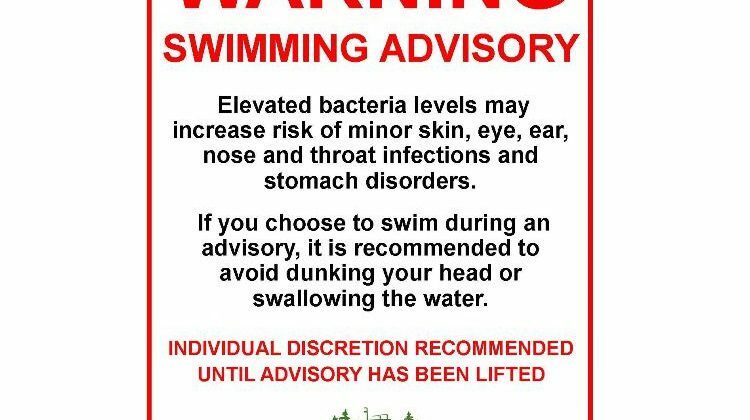 In the meantime, swimming advisory signs have been posted at Gull Lake Park Beach.